If you have an existing WordPress site and you want to change your username (for example to something different than "admin" for security reasons), you can do this quite easily. 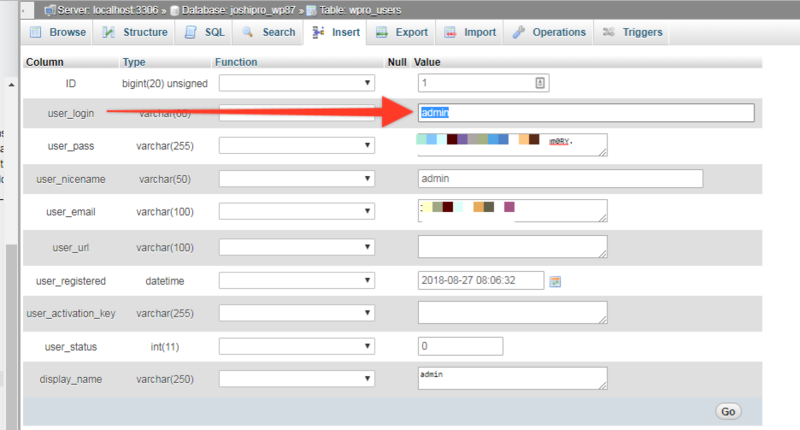 Login to your cPanel and click on the phpMyAdmin icon in the Databases section. 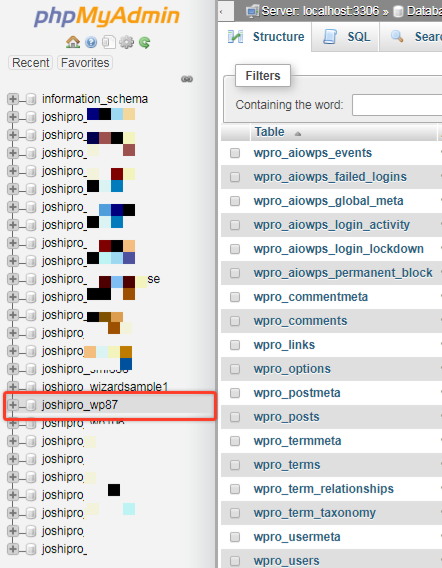 Next, locate your WordPress database from the list on the left. 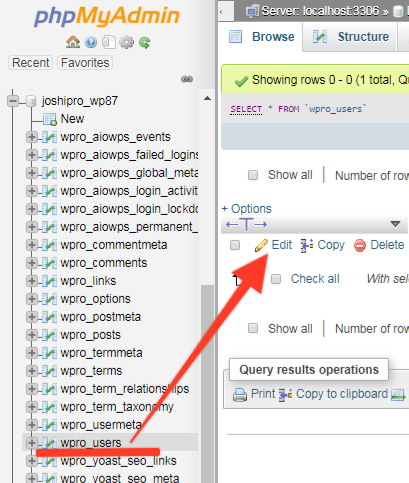 Once you select your WordPress database, you will see a lit of its tables. Choose the _users table from the left menu. You will see a list of all the registered users in your site. Locate the admin username and click on the Edit button on that line. Now, you will see all the fields for this username. Locate the " user_login " field and replace its value from admin to your new preferred WordPress login name and press the Go button at the bottom of the page.